1) After having added a package on CDN.net, you can manage and add your resources by clicking on the "Manage" button. 2) Next you will want to select the package you wish to use for your resources. If you've only added one package, you'll still need to choose which one to use. In the screenshot below, the package is labeled "1 TB" and the label will by default be the type of package you have purchased. 3) Click the "Add Resource" button. Origin hostname is the url of where your web content is currently hosted at. 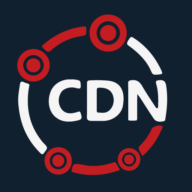 CDN hostname is the url which the web content will be delivered through cdn.net CDN. Here you can also choose your edge group, which controls which edge servers your resource will use. You can check CNAME status by using the Linux command - " dig +trace www.domain.com"
Once the CNAME is propagated, "cdn.domain.com" would show the same content page as "domain.com"
There are many ways in integrating the cdn hostname to your website so that the web content is deliver through cdn.domain.com instead of domain.com. Edit the html file. You may change all the links of your website static content to use the cdn hostname. For example, abc.jpg used to have a url link of "domain.com/abc.jpg", you then change the url in the html to "cdn.domain.com/abc.jpg"
WordPress: Using W3 Total Cache with CDN.net.